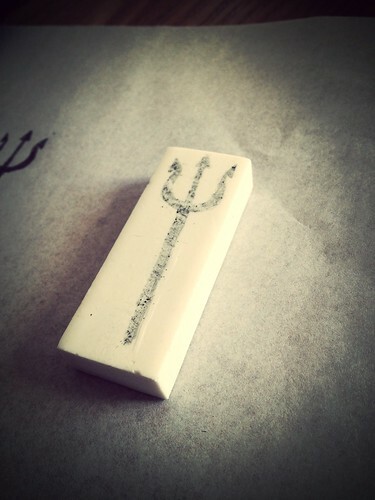 Today I made a stamp. This is really just a trial to test out the quality, I’ll probably try to find some better and bigger material to use for other projects. I’d like to look into making ones suitable for printing on tshirts. I think Lego characters would go down well in our house! 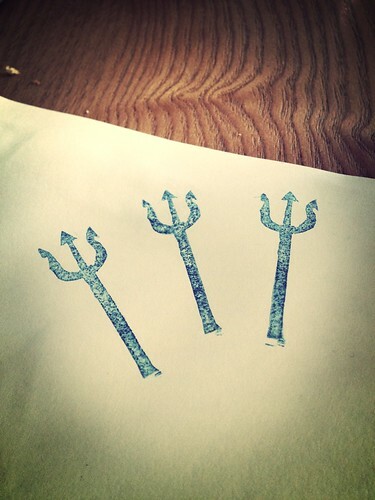 I chose a trident because Aaron is loving Greek Mythology at the moment. I found a picture of one on the internet using my iPad, lightly traced it with tracing paper, then coloured it in with pencil. 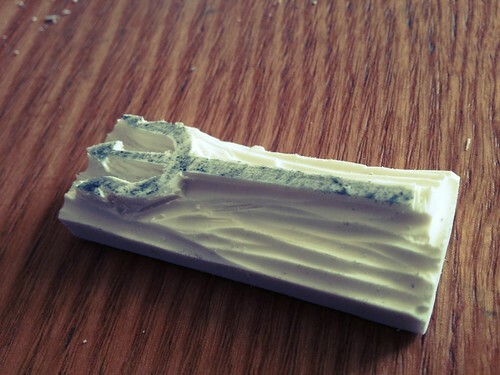 I then pressed the rubber / eraser on the drawing which left an imprint. 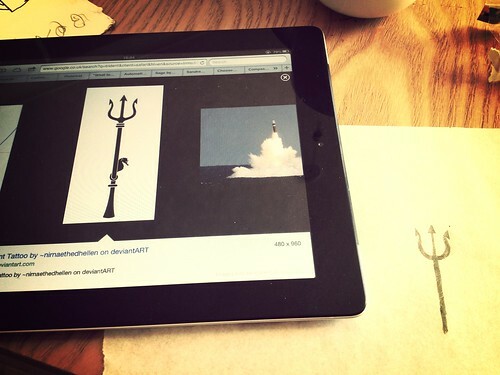 Next I used a lino cutting tool to carve around the print of the trident. Not bad for a first attempt and good enough to keep the kids happy.